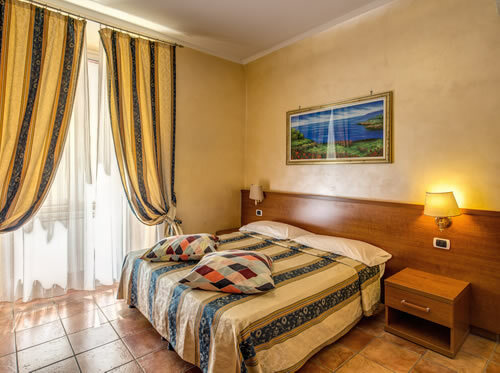 A Casa di Teli budget guest house Rome has six completely new and expertly decorated guest rooms each with elegant and stylish yet functional furniture, fixtures and fittings, linens and towels. We opened in the spring of 2017 after fully renovating the space, and so you’re guaranteed a clean and fresh accommodation for your great value nightly room rate. 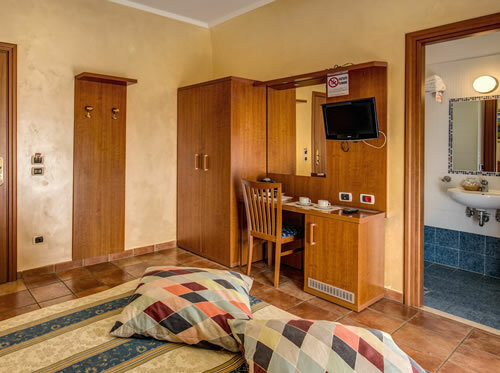 Each room has its own en suite bathroom complete with basic toiletries, independent climate control and a flatscreen TV which shows the free international TV channels such as BBC World, MTV and CNN. All rooms are secure and our staff are on hand to deal with any queries. Casa di Teli low-cost B&B is also part of a small family of accommodations by Roma Termini, so if we don’t have enough rooms available for your party please get in touch and we’ll see if we can host you nearby. You’re always guaranteed the best possible rates for our structures when you book directly with us through our official websites.